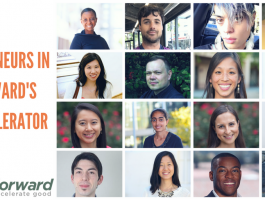 This is the seventh feature in our 2017 entrepreneur series, highlighting Onward, an employer benefit platform helping low-wage workers weather financial instability. A car breakdown, exorbitant medical bill, or family member in monetary crisis can rock anyone’s financial stability. 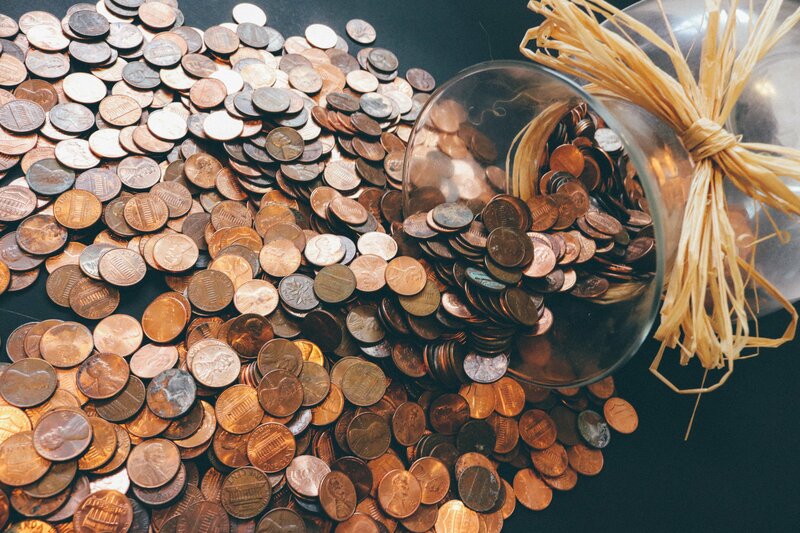 Most of us have experienced, whether directly or indirectly, the impact of major unexpected expenses and the subsequent domino effect they have on one’s life. It’s never just an engine failure – it’s missing a day of work, having to pay for additional childcare, or covering the costs of alternative transportation until the car is fixed. With 47% of Americans unequipped to cover a $400 emergency, it means these folks end up taking out payday loans, which charge upwards of 350% APR. Onward founder Ronnie Washington had his own experience with the impact of a financial emergency. Several years ago Ronnie’s uncle ran into a major car issue that he couldn’t afford to cover on his own. Ronnie recalls his uncle was, “one of the hardest working men he’s ever known,” but simply didn’t have a financial cushion in place to cover emergency expenses. Ronnie was that financial cushion for his uncle. But others in crisis aren’t so lucky to have a Ronnie, and end up at the door of payday lenders. This further fuels the poverty cycle. 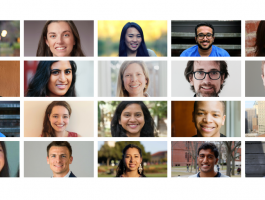 After spending several years building community based banks in Ghana, Ronnie ended up at Stanford Business School where he started working on a project related to financial security. Eventually the project developed into Onward, which is now a Fast Forward alumni. 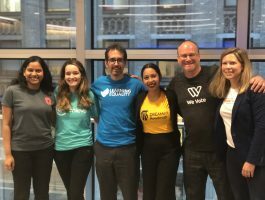 Onward is a employer benefit platform that provides low wage workers with a savings program, financial literacy resources, and access to affordable loans based on proven savings habits. 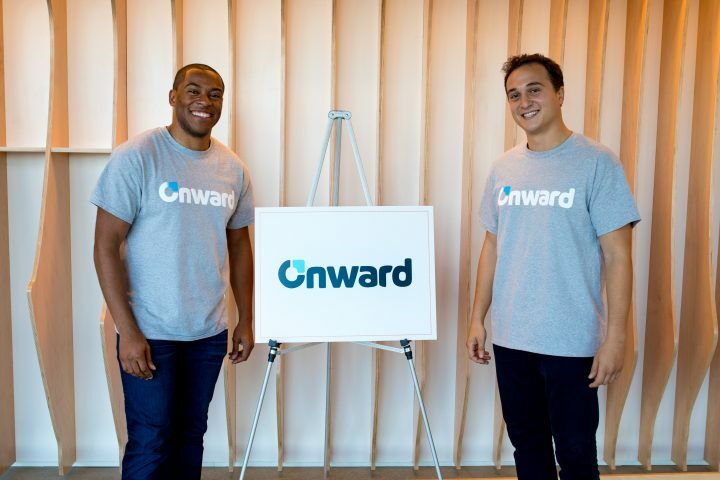 Essentially an “on ramp” to a 401K, Onward helps low-wage workers establish saving habits by putting aside a small amount of money from their weekly paychecks through the Onward platform. So how does it work? Employers sponsor the Onward program to help their workforce strengthen personal savings and address financial insecurity. Employees who opt in can download the Android app or access Onward online. The app guides them through setting personalized financial goals, and provides a savings recommendation for each worker. Users can also access various savings tools and resources, and after 3 months with the program they unlock eligibility for affordable loans through Onward. 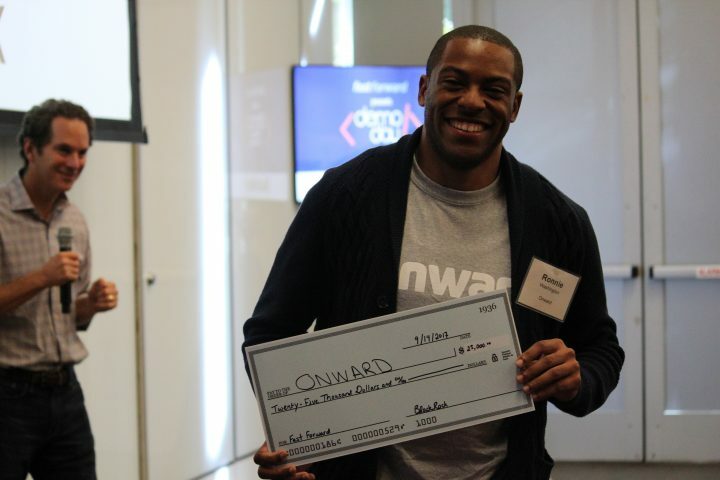 This year Onward launched its first pilot with PRIER, a manufacturing company based in Kansas City, Missouri. The pilot proved a huge success – 100% of employees who initially joined the pilot (and are still employed at PRIER) have persisted and are still saving through Onward. The feedback from pilot users has been fantastic as well, with users sharing they’ve hardly noticed the money being taken out of their paychecks and feel so excited when they see their savings grow in the app. BlackRock granted Onward the $25,000 employee award during the accelerator this summer. Onward just secured a new partnership with the Kansas City Federal Credit Union, and hopes to bridge partnerships with the largest employers and HR companies, for example companies like Walmart and Starbucks or ADP, to give all employees access to savings and affordable credit. Success for Onward means all workers, not just the middle and upper class, have both emergency and long-term savings. Every worker deserves financial security, and Onward hopes to make this a reality by building the 401K for everyone else.